It is often said that the eyes are the window to the soul. Scientist’s have even discovered that patterns in the iris can give an indication of whether we are warm and trusting or neurotic and impulsive. Your smiles is even more powerful in what it can communicate to the world. Never underestimate what your smile says to the people you meet everyday, whether they are acquaintances, bosses, co-workers, employees, potential clients, friends, the list goes on and long. First impressions are important! A beautiful smile can communicate many valuable things to the people you encounter, whether in a work setting, personal setting or group activity. A beautiful smile sets the stage for favorable first impressions, it tells people you are confident, positive, enthusiastic, energetic, optimistic and welcoming. Unfortunately, when you don’t smile due to issues with your teeth, that communicates just the opposite and leaves a poor first impression. Dr. Hay and I have over 40+ years of experience creating Smile makeovers. We have completed thousands of Smile Makeovers during our careers and are both “LVI Dentists” – graduates of the prestigious Las Vegas Institute for Aesthetic Dentistry. We specialize in cosmetic dentistry, which is the process of creating the perfect, bright, natural looking, beautiful smile through the use of cosmetic dentistry treatments such as porcelain veneers, porcelain crowns, dental bridges, dental implants and even reconstructive dentistry. We also offer sedation dentistry that will make you comfortable and relaxed, this option I’s ideal for patients that are anxious or fearful of going to the dentist. At The Cosmetic Dentists of Austin we understand the value of a beautiful smile and the impact it can have on your personal and professional life. If you are are looking for an answer to your dental issues look no further, at The Cosmetic Dentists of Austin you will find Austin Cosmetic Dentistry at its best! 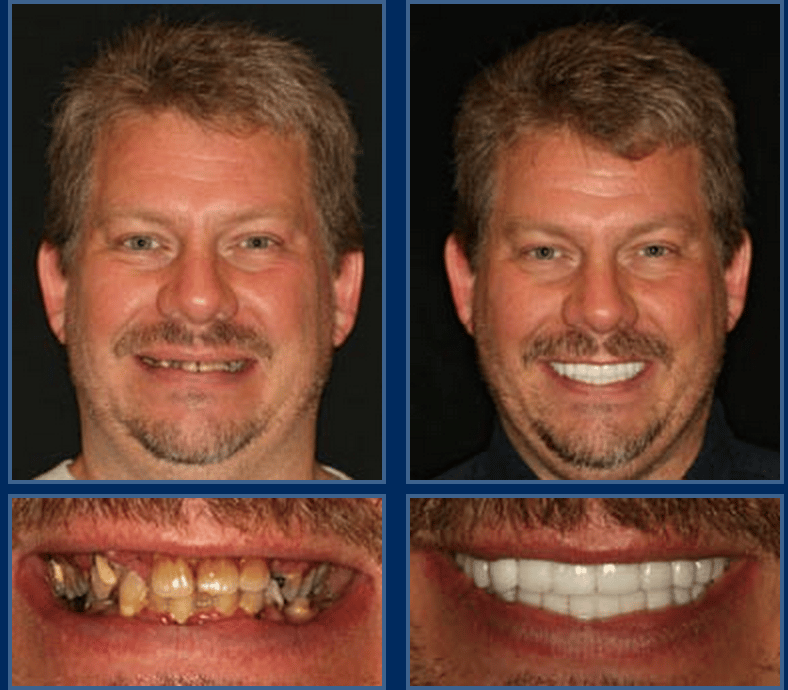 Our experience means we complete your smile Makeover correctly the first time out without hassles or disappointments. We will give you the new beautiful bright white natural looking smile you’ve always dreamed of in just two visits without braces. Call 512-333-7777 today for a complimentary consultation and experience Austin cosmetic dentistry at it best!